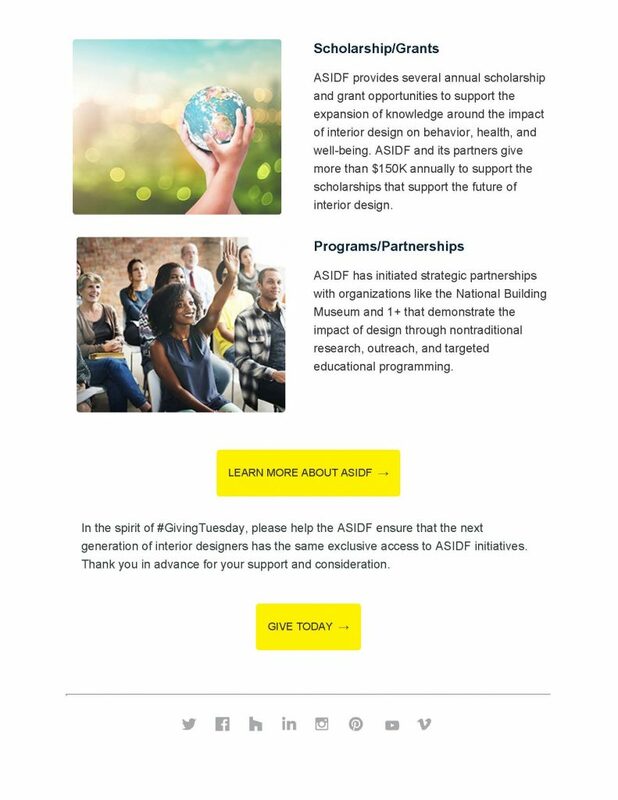 Tuesday, November 27th is Giving Tuesday. 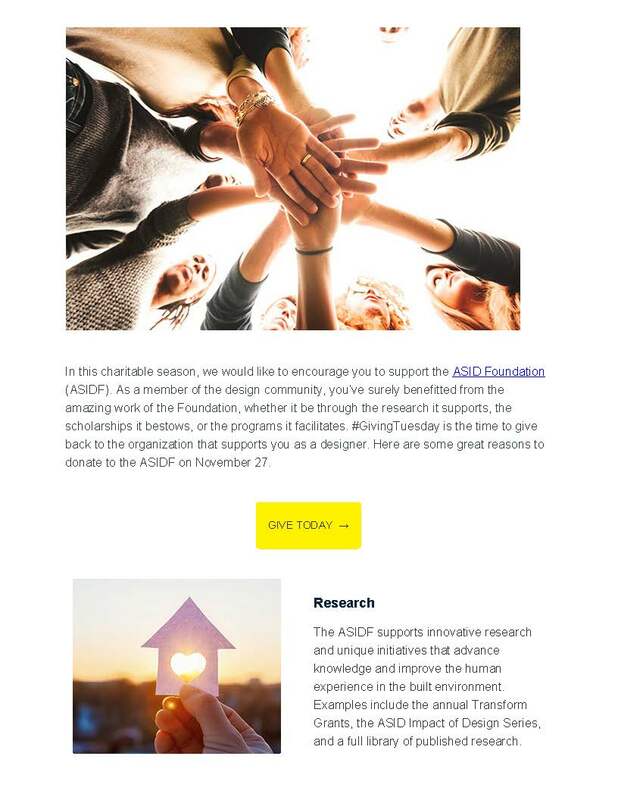 Celebrated the Tuesday after Thanksgiving, this day kicks-off the charitable season when many focus on their holiday and end-of-year giving. 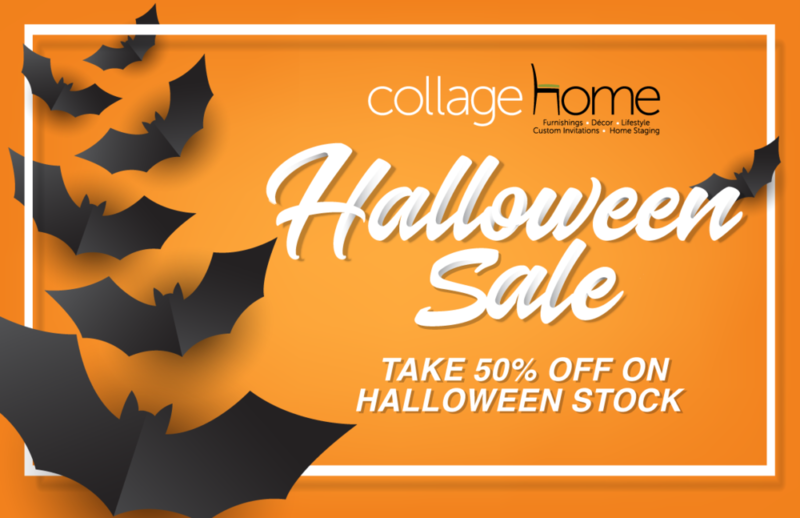 Just announced: our Collage Home Halloween Sale! Take 50% off on all purchases of Halloween items in store for a limited time. Stop by our space at 1822 Edgewater Drive in College Park from 10:00 am until 5:00 pm, Monday through Saturday to shop! Feel free to call 407-843-0040 for any questions about our Halloween Sale. 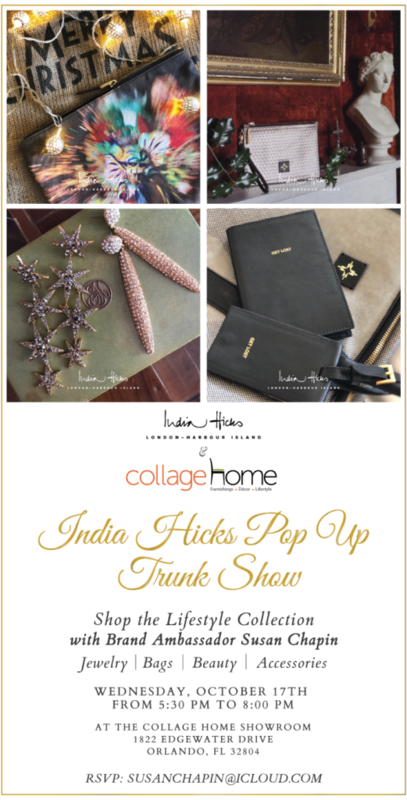 We invite you to join us for Prosecco & nibbles in the showroom on Wednesday, October 17th, from 5:30 pm to 8:00 pm to shop the India Hicks collection ahead of the Holiday season. 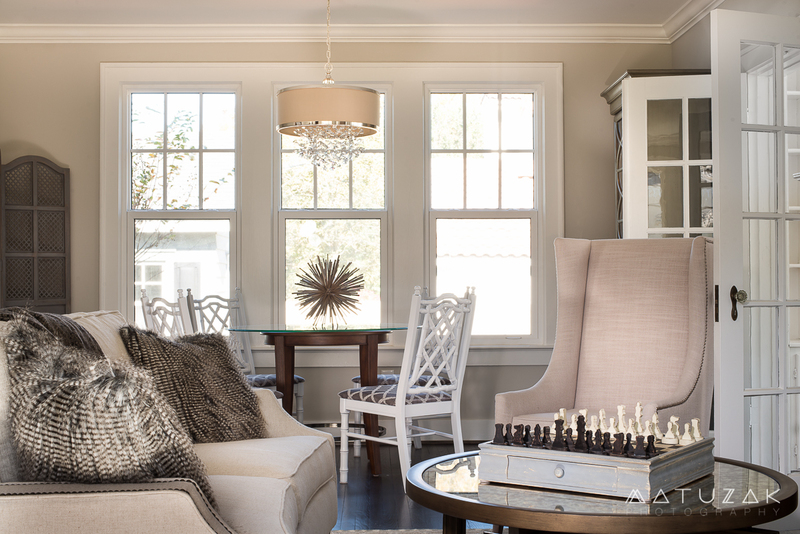 Plus, you’ll enjoy 20% off Collage Home purchases during the event! Just ahead of Labor Day weekend, we’re announcing our Collage Home End of Summer Sale! You will enjoy 30% off on all purchases in store and online from September 4th through the 22nd. Just mention the sale in store or use code “SUMMER” for all online purchases! Plus, we’re launching expanded Fall hours after Labor Day. Starting on September 4th, you’ll be able to stop by our space at 1822 Edgewater Drive in College Park from 10:00 am until 5:00 pm, Monday through Saturday! Feel free to call 407-843-0040 for any questions about our End of Summer Sale. The inspiring modernization of this 80-year-old structure holds lessons any remodeler can put to work. Attendees will learn how the team’s design used sight lines, ceiling heights, and repeated patterns to cleverly blend old and new. Also discussed is the way innovative products were incorporated, some of which have a traditional aesthetic but are marvels of modern science and engineering. 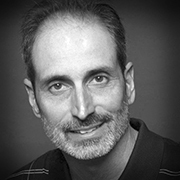 President, Farina & Sons, Inc.
A second-generation builder, Farina has grown his Orlando-based Custom Builders & Remodelers company substantially. 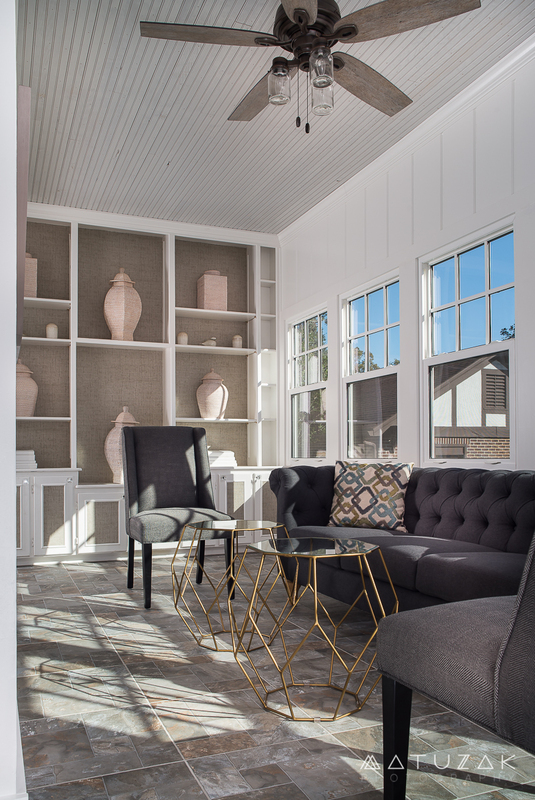 He has won numerous local and national awards, and built ‘The New American Remodel’ for the 2018 International Builders’ Show. 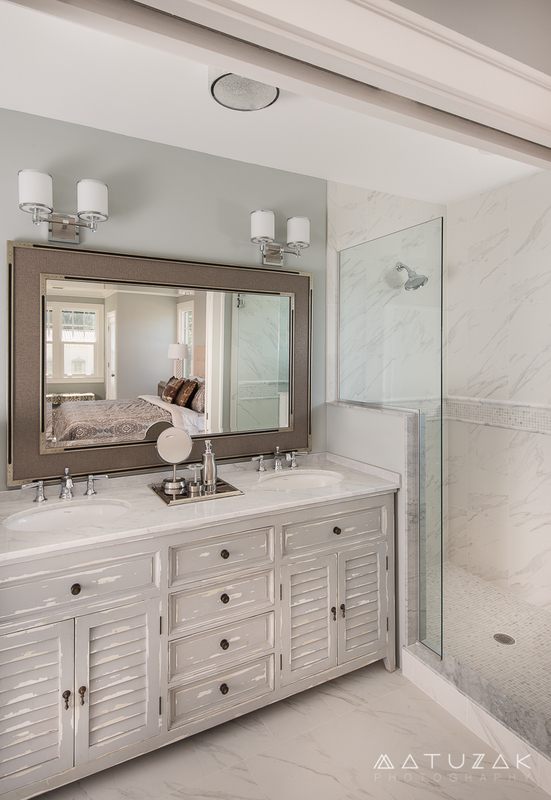 Advertising & Marketing, Farina & Sons, Inc.
Caron oversees Farina & Sons advertising, media communications and company collateral, as well as their Parade of Homes project. 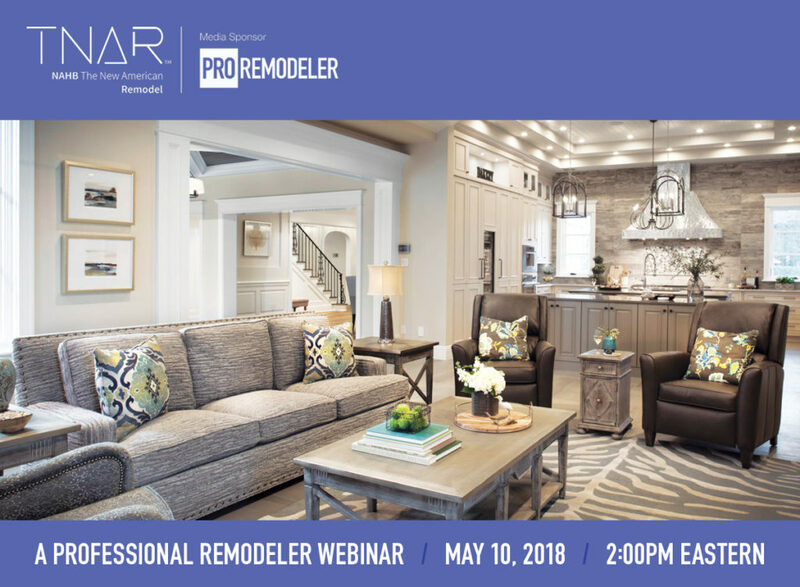 She led the media communications for The New American Remodel 2018. A professional member of both the American Society of Interior Designers and the International Interior Design Association, Gribble recently was bestowed an ASID Fellowship for making outstanding contributions to the interior design industry, for his commitment to the profession, and for the excellence of his portfolio of work. 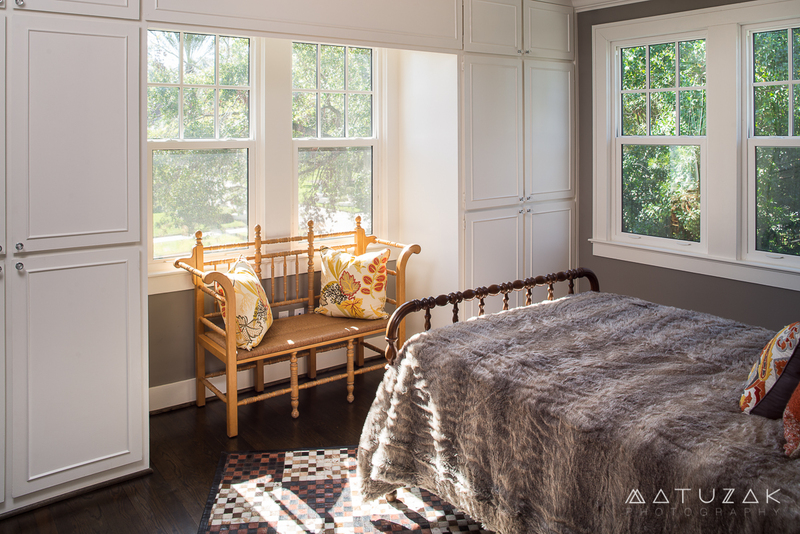 Grant is certified by the National Council for Interior Design Qualification exam (NCIDQ). 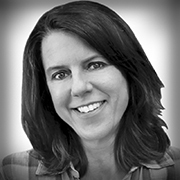 Prior to joining SGC Horizon, Taylor was a contributing editor with the Los Angeles Times and editorial director for Hanley Wood’s Pool Group. A native of New York she currently lives in Dallas. 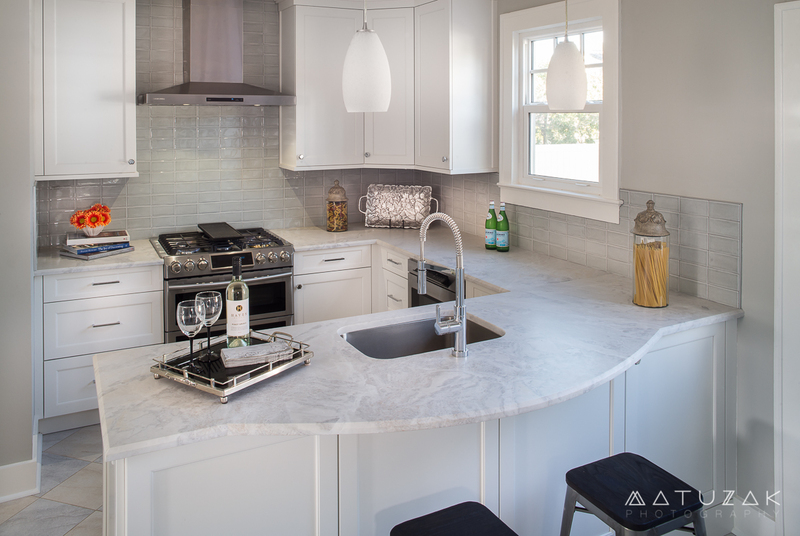 Located just outside of downtown Orlando, The New American Remodel 2018 demonstrates the countless possibilities for a 1930s home to be completely transformed using today’s products and building techniques. 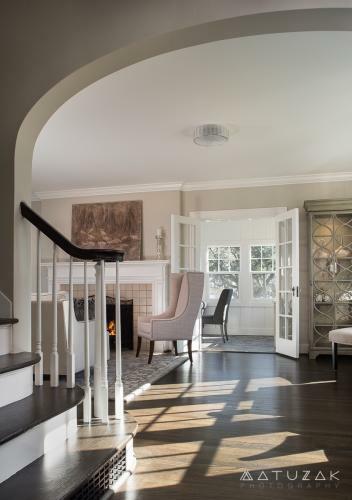 The two-story, traditional style home will maintain much of its original design, while the team from Farina & Sons, Inc. integrates a comprehensive renovation to enhance the home’s beauty, comfort and efficiency. 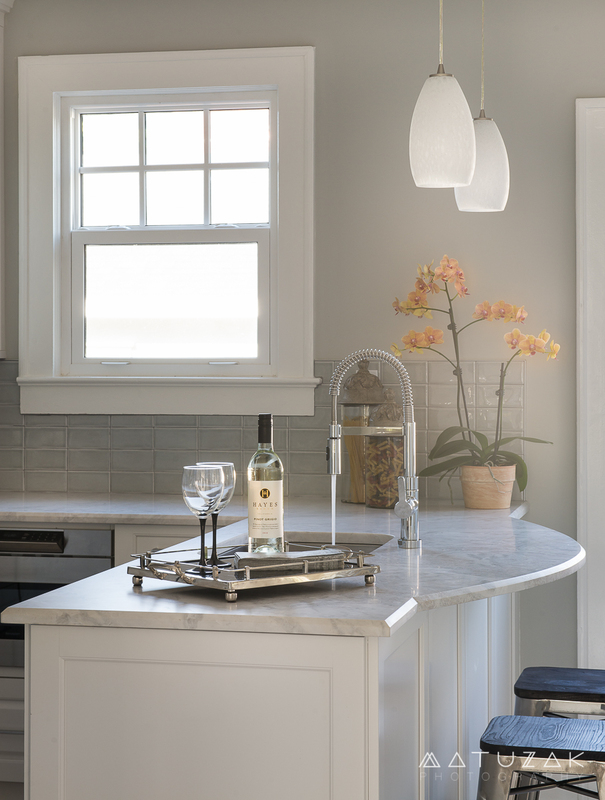 About Farina & Sons, Inc.
As a family-owned business with a long-standing reputation for quality and excellence, Farina & Sons clings tightly to a set of values that drives every decision. 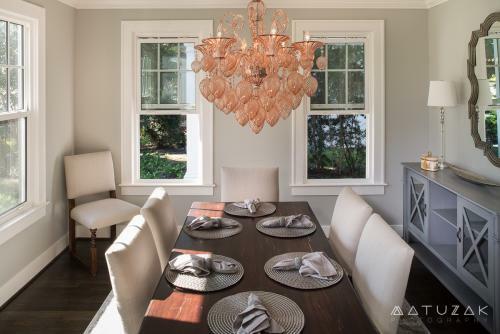 From large new construction projects and whole-home remodels to historic renovations, Victor and his team never lose sight of their responsibility to oversee and manage all aspects of your project from start to finish. Everyone on the team revels in collaboration and communication. Embracing accountability and financial transparency, Farina & Sons delivers all projects within budget and on time. Come and visit Collage Home! We love these treats for your Valentine’s sweets. They’re back for Valentine’s Day! 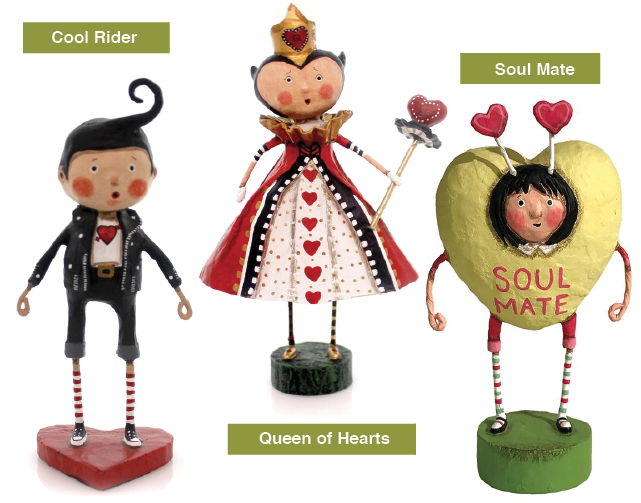 These figurines have been so popular, and we have a few of the newest designs in store now. For the perfect gift for anyone, come in and browse our home fragrance collection. It’s the best in Central Florida! We’ve added some new products from Agraria, including new fragrances for their iconic tassel diffuser and their new line of bath salts. Beautiful, and they smell fantastic! Everybody loves to get letters. Notice, I didn’t say, “mail.” I said, “letters.” Not bills. Not notices. Not statements. And by “letters,” I mean any form of written communication not requiring financial action or a filing-away with other important finance-y (read: boring) things. Valentine’s Day offers the perfect opportunity to send reminders through the mail to the people you love, letting them know that you think of them, that you value their contribution to your life, and that they are worth the few minutes it took to write (with a pen, or crayon – whatever’s handy), to locate their address, and to find a stamp. Email is handy, of course. But email doesn’t offer that fantastic anticipation brought by a slightly heavy, often colorful, hand-written envelope. Admit it: you’re almost embarrassingly excited by these, aren’t you? Just a little? Especially now that the time-honored Christmas card tradition is becoming less and less popular, a little note in the mail can put a flutter in your heart as you excitedly open the envelope to see what newsy missive might be inside. A funny card? A birth announcement? An invitation? 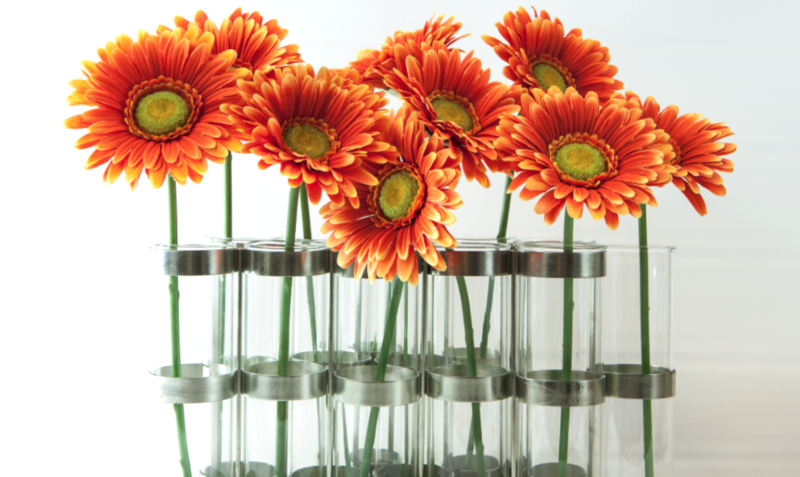 So much more fun to display on your mantelpiece (or on your refrigerator) than a print-out of an email. That little bit of excitement is the very reason why The Paperie at Collage Home is delighted to be offering so many options for renewing the simple pleasure of note-writing. Come in and browse our selection of cards and of options for personalized stationery. We’ll even be highlighting some forgotten tips for written communication. 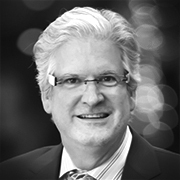 Isn’t it time to reinvent this age-old tradition? This is hands-down the BEST pasta supper ever: rustic, authentic, beautiful, and so, so easy! You and everyone else will thank us for passing this on. In a wide-bottomed pan with a lid, heat a little olive oil, and add some garlic. (Hint: you don’t really have to chop garlic. It may dissolve, or you can fish it out later. Once it’s been in fat for a time, there’s little value in keeping it in the sauce. The flavor has already been infused into the oil by the heat.) There’s no need to brown it; just get it heated and coated with oil. Dump all of the tomatoes in the pan, along with about 2/3 pkg of the roughly chopped fresh basil, salt and pepper, and a pinch of sugar. (Nope, no water. The moisture will come from the tomatoes.) Let this cook, covered, over low heat, with the lid slightly askew to allow some steam to escape. Stir after about 3 minutes, and then again after about another 4 minutes. You’ll know it’s ready when all of the tomatoes have burst, and the sauce has become dark-ish, and thick. At this stage, you might be tempted to remove the tomato skins. Sometimes we do; sometimes we don’t. It’s entirely up to you. It makes absolutely no difference in flavor, it’s just a texture thing. Taste the sauce, and see if it needs any more salt and pepper, or if it needs another pinch of sugar to balance the acid of the tomatoes. Up to you. Turn off the heat, and prepare the pasta. While the pasta is boiling, tear or chop the mozzarella, and roughly tear the remaining basil. When the pasta is nearly done, turn on the heat under the sauce to medium-low, and add a ladle-full of the starchy pasta water. Let this reduce into the sauce. Add more if you want to thin out the sauce. When you’re happy with the sauce consistency, drain the pasta, and dump it into the sauce, along with the mozzarella and the remaining basil, and mix. That’s it. Pour the whole concoction into a large bowl, and serve family-style with a salad and some bread. Oh, and fresh parmesan, of course. You can use tinned Italian tomatoes, pre-shredded mozzarella, and short pasta if you’re in a pinch. But it doesn’t look as authentic, it isn’t as beautiful, and it won’t taste quite as fresh. But it’s still great if you’re really up against it. This will be the first of many, many times you’ll use this recipe. 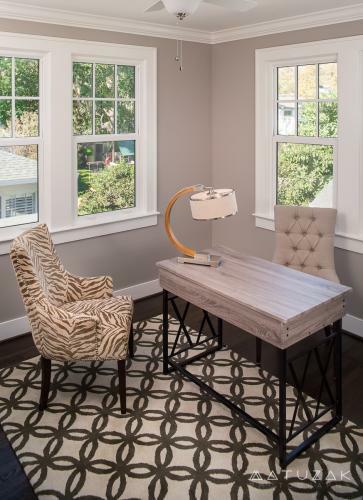 The home staging trend is sweeping the real estate market, and Collage Home is excited to offer our unique home staging services to our clientele. Why stage your home? By bringing in the key pieces of furniture and artwork that make the space look lived in, but clean, homes spend approximately half the time on the market. 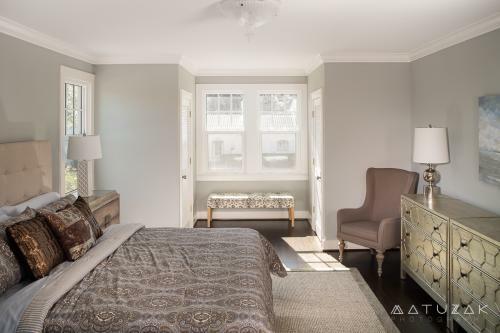 In fact, The National Association of REALTORS found that 77% of buyers agents say it’s easier for home buyers to visualize a property as their future home when it has been staged. 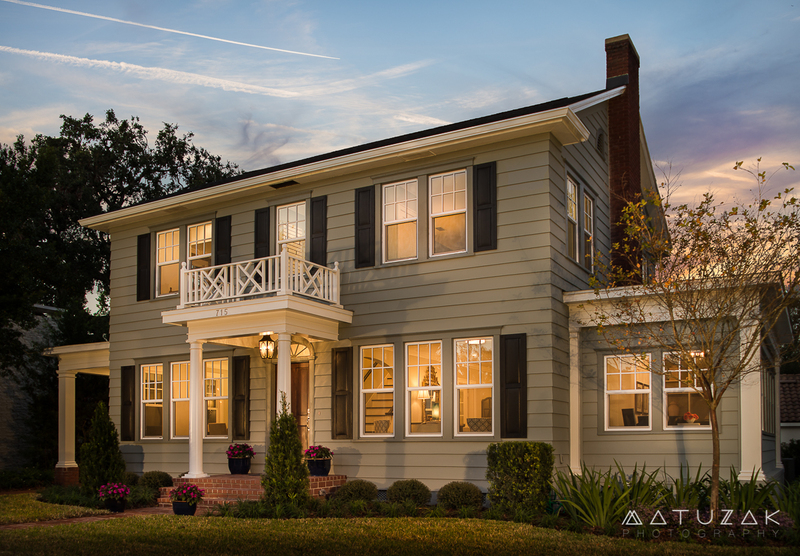 So before you put your home on the market, be sure to expertly stage it with Collage Home! 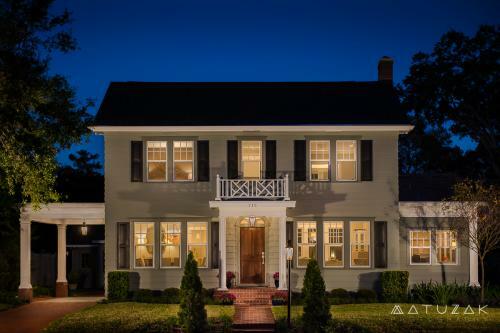 We recently staged a 1920s-era home nestled in College Park. The 4 bedroom, 3.5 bath home was completely renovated (including new windows, roof, electrical, plumbing, and air conditioning) with interiors designed by Grant Gribble and Gribble Interior Group, one of Orlando’s top Interior Design firms. The home features luxurious appointed baths and kitchen with custom cabinetry and natural stone countertops, and the large scale rooms have views of Lake Concord and downtown Orlando. The master bedroom suite is spacious with his and hers closets and adjoining bath with double sinks and a large walk in shower. 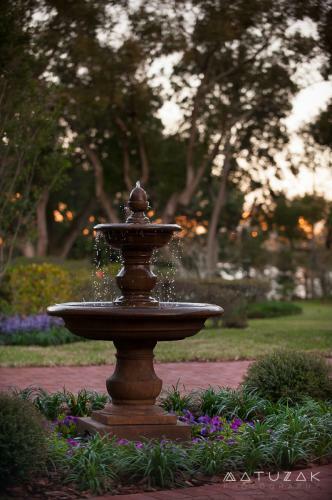 A beautifully landscaped yard features a brick drive and patio, decorative fountain and detached guest cottage. 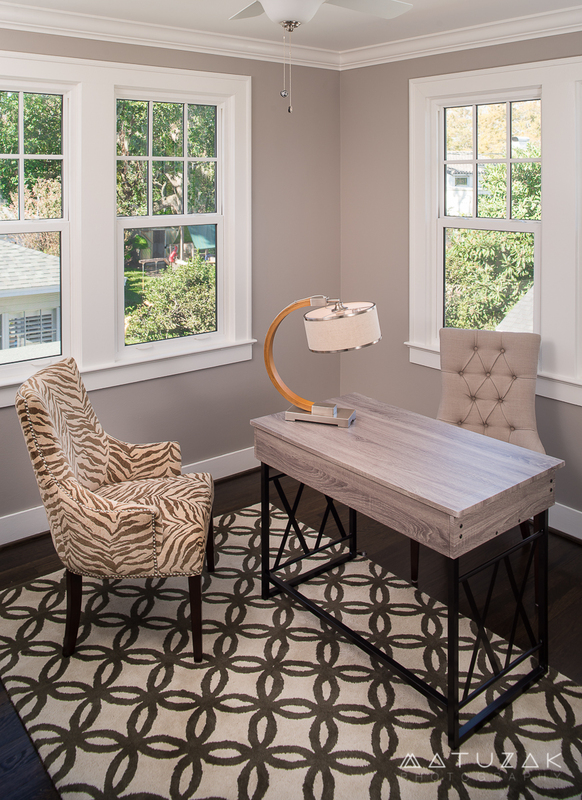 Grant Gribble worked with Collage Home staging to add some key elements that completed the home’s show-ready status. We hand-picked furniture to speak to the target market’s every day needs; we chose beautiful, yet functional, pieces in a calming and light color palette designed to complement the home’s gorgeous lake views and natural light. We also pulled art and accessories from our showroom to draw the eye toward the home’s best features, like the living room fire place. 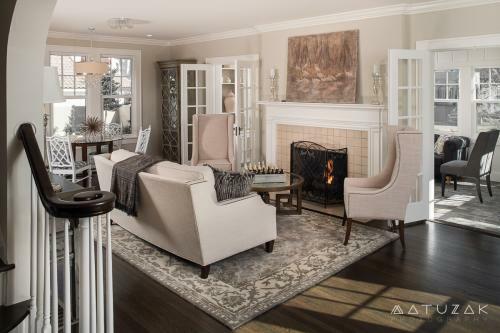 The staging process helps to ensure that the space reaches its full potential, reflecting the lifestyle of the target buying demographic and helping them to envision their futures in the home. These are the easy gifts we’re loving right now! For the man who has everything: Nuance Ice Bucket // Horn Handled Bar Tool Set // Cheval Coasters. 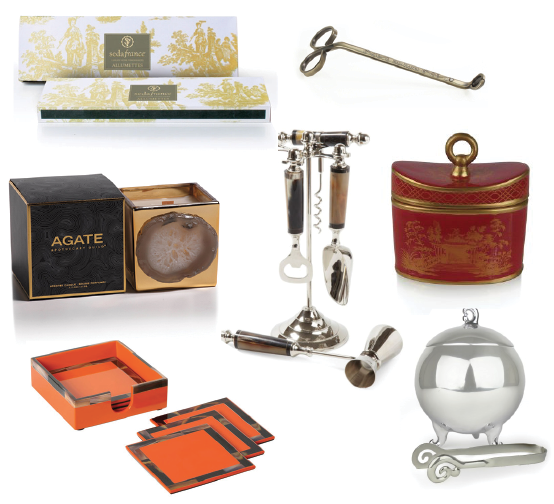 Perfect for your Mother–in–Law: Seda France Ceramic Candle // Wick Trimmer // Golden Toile Matches. A selection of our masculine home fragrance collection: Blackcurrant Agate Candle. We love wrapping presents. Love. It. But we also know that there are plenty who do not enjoy the holiday ritual. If you’re one of those people, visit us at Collage Home to learn the easiest way ever to wrap gifts! There are instructions below, but we’re happy to show you when you visit the shop. Here’s our undisputed easiest, most festive-looking gift wrap solution. Even your kids (or your significant other! Mais non!) can do this without supervision. C’est vrais! Cut a length of cellophane sufficient to cover the object plus about a 9-10 inches. Spread out enough tissue (about 3 full-sized sheets’ worth in thickness) onto the cellophane with extra to spare, overrunning the cellophane by a bit or place tissue in bag, with the center of the tissue in the bottom of the bag. Put the item in the centre of the tissue, or into the bag. 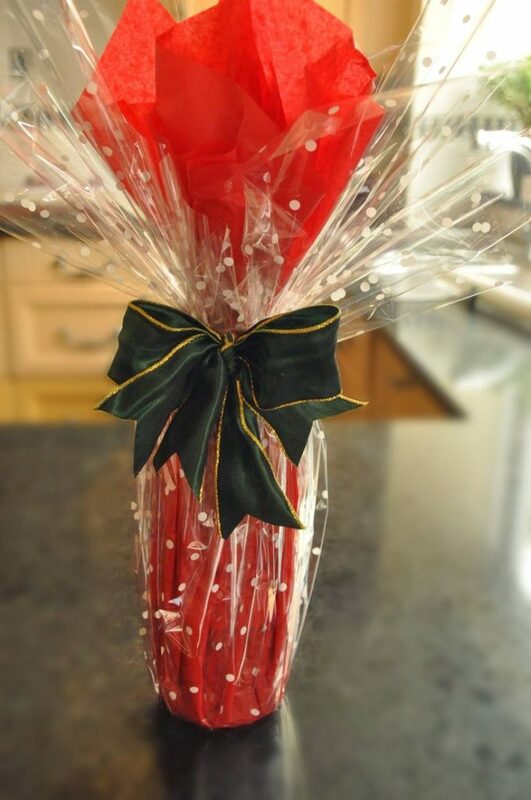 Draw up all sides and secure with ribbon near the top of the object, using enough to tie a substantial single bow or tidy knot, depending on how thick your ribbon is. Use thinner ribbon for a bow, thicker ribbon for a knot. How fun is that? It looks like a Christmas sweet! You could use a different color tissue paper for each person. So festive under your tree! 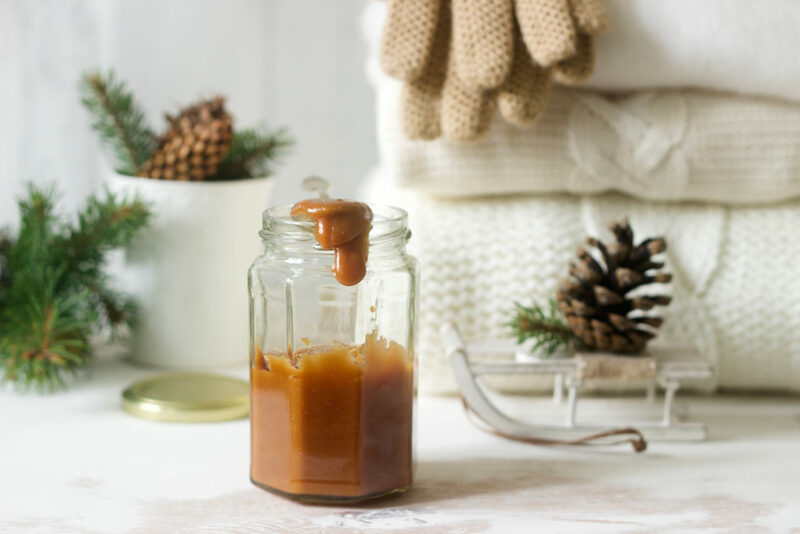 The EASIEST dessert sauce recipe. You’ll have most of the ingredients already. This will look like a lot, but once you’ve made it, you’ll start thinking of things to put it on for quality control purposes before you serve it. Put it all in a pot on medium-low heat. Stir until butter has melted, and sugar has dissolved. If it’s too thick, add cream. If it’s not thick enough, add sugar. The. End. Serve this on just about everything. Apples, any type, sliced. Enough to cover the bottom of your pan plus a few more. You can peel them if you want to, but we often don’t bother. You can also use barely-ripe pears. Heat oven to about 350-375. Whatever your oven might already be on over 325 will be fine. You can even go up to 400 if you’re already using it for something else. Cover and cook on low heat for about 3-5 minutes. The fruit should be just about fork-tender. Unroll the puff pastry. Place the lid to the pan down on the pastry, and cut around it. Place the pastry right on top of the fruit, and prick with a fork. You can brush with butter if you want, but may choose not to because this will be the bottom. Don’t press the pastry down onto the apples. Leave space where you can to avoid soggy pastry. Bake in your preheated oven until the pastry has puffed, and is a nice golden color. Resist the temptation to open the oven before the pastry puffs and colors. Remove from the oven. Place a dinner plate straight on top of the pan, and when you can—without burning yourself—flip the whole contraption over so that the plate in on a flat surface, and the pan is on top. Remove the pan. Voila. Tarte Tatin. Serve with toffee sauce. So, so easy! Impossibly delicious! 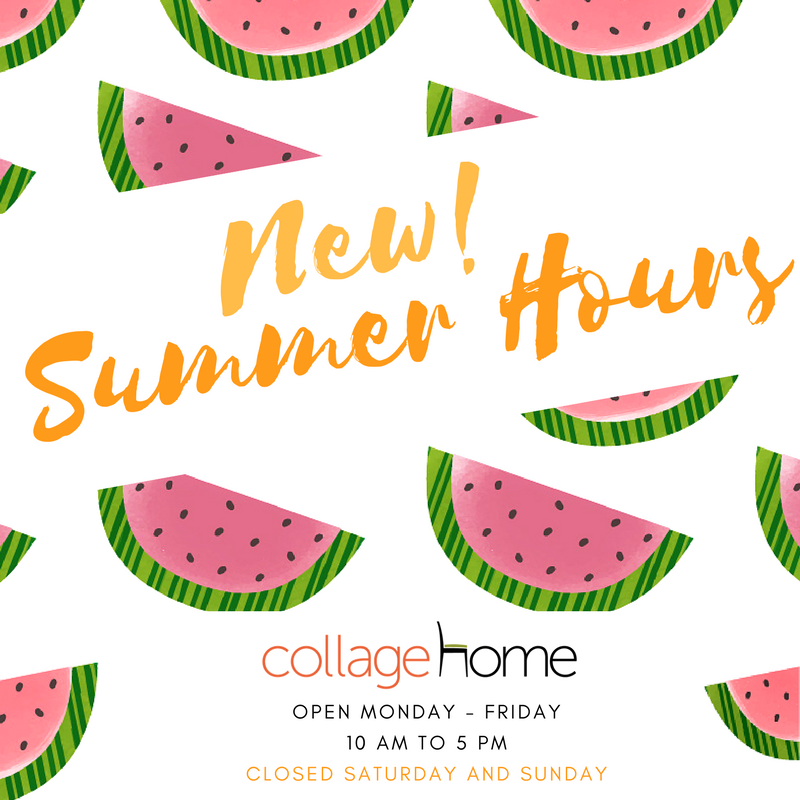 So stop in to beat the heat, and remember that as always you can shop Collage Home online 24/7! 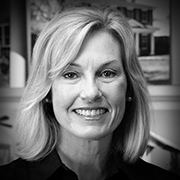 We are truly saddened to inform you that Angelyn Conklin, our friend and partner, abruptly resigned without notice from Collage Home this week. Rest assured that Collage Home is open for business. Our focus is moving forward; we are still providing the same superior services to you, our loyal customers. This includes displaying the finest in home accessories, gifts, stationery, greeting cards and specialized custom printing. 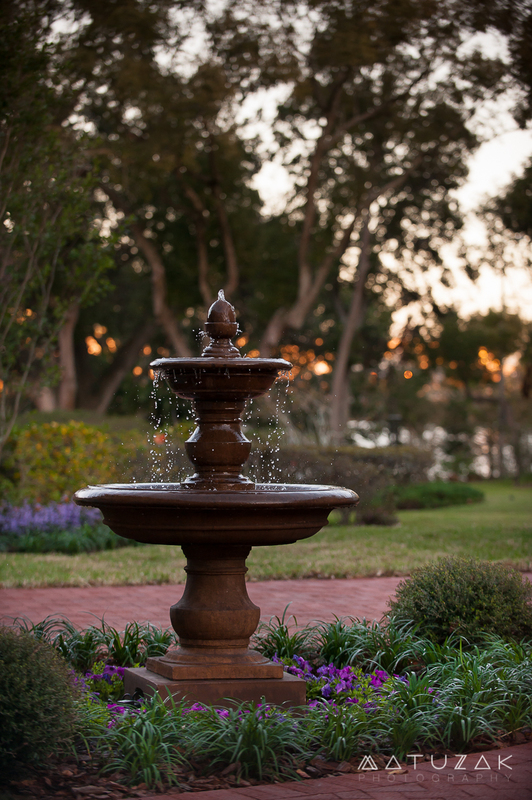 We enjoy being a part of the College Park business family and look forward to a bright future together. We deeply appreciate your patronage, your support and your loyalty.